This pad is very unique in that it does not have the groove around the edge for the stainless steel trim. 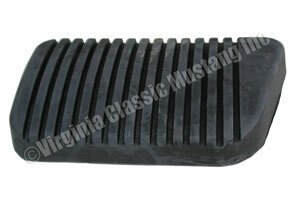 This pad was used on all 64 1/2 and early 65 models. This is a super nice detail to complete a correct restoration. Now you do not have to use worn, hard, cracked originals.